The alleged assault, around 7 pm yesterday, triggered a temporary cease work by other doctors in almost all wards of Calcutta Medical Research Institute, barring the emergency and critical care units, an official at the private hospital said. In his complaint at Alipore police station, Srinivas Geddam, a postgraduate trainee doctor with CMRI, said Jadavpur police station officer-in-charge (OC) Pulak Kumar Dutta hit him when he was attending to his medical case. Dutta, who underwent a wrist surgery yesterday morning, allegedly slapped the junior doctor with his left hand after grabbing him by his neck when asked about his medications, a senior police officer said quoting Geddam’s complaint. Geddam, a resident of Andhra Pradesh, in his complaint, said he suffered abrasions on his neck following the assault, he said. An official at CMRI said Geddam was attacked while he trying to understand Dutta’s medication routine from the prescriptions submitted to the hospital during admission. “We conducted a medical examination on Geddam which showed abrasions in two places, musculoskeletal wounds and tenderness, which could be a result of the assault,” the CMO official said. The protesting doctors resumed work last night only after police “promised them justice” in the case, he said, adding that the OC signed a “discharge on risk bond” this morning and left the hospital. The Jadavpur police station OC or his family members could be contacted for their comments. “We are looking into the matter and trying to find out what was the problem. Proper action will be taken against the guilty as per the law,” Khalid said, adding that the incident prompted the deployment of policemen in large numbers at the hospital last night. Meanwhile, the state Indian Medical Association (IMA) unit today wrote to Chief Minister Mamata Banerjee seeking her intervention into the matter and action against the accused police officer. “The attack at CMRI happened even after Kolkata Police issued warnings against such measures. Now we have a case of a police officer assaulting a doctor,” Sen said. If you stop treating some one else , due a person wearing same uniform , it looks senseless, silly and stupid. What is reaction from the hospital administration ? Why don\’t they lodge complaint against the culprit , is their any dearth or death of law enforcement agencies or we living in ISIS OR TALEBAN TERRITORY? . WAHT A SHAME. THE HOSPITAL MANAGEMENT IS WORSE THAN THE COP WHO WENT VOILENT. AS RIGHTLY SAID NONE OTHER THAN BAPU ( NOT THE BABUS THE BUEROCRATES). \” VOILANCE IS BETTER THAN COWARDANCE \” PLEASE DON\’T ASK ME WHO IS BAPU . I HEARD THAT THE IMA TEAM MEMBERS MET DIDI , WHAT WAS HER REACTION ? It Looks she has ALL concern for the illogical immigrants and refugees , why not for Doctor fraternity ???. Try to name and SHAME irresponsible lawmakers and BABUS THE BUEROCRATES. DOCTORS ARE AT RECEIVING END DUE TO WRONG POLICIES INTERDUCED BY B A PADDED out BABUS, WHO are nothing but left over garbage of bloody British Raj. \” BABU MUKTHA BHARAT \” IS THE NEED OF THE HOUR . BABU BHAGAV DESH BACHAV . O C ? Office incharge means what , what\’s his destination / rank is incharge of PMO \’s office or C M office ? These names sounds funny , there should be uniform usage of language ,so that everyone can understand . Again CMO MEANS WHAT CAUSALITY MEDICAL OFFICER or CHIEF MEDICAL OFFICER ???. IN GOVERNMENT SERVICES ANY BODY CAN BE ANY THING WITH BLESSINGS OF THE BABUS THE BUEROCRATES AND THEIR BOSSES. AN MBBS DEGREE HOLDER CAN BE A DHO ? 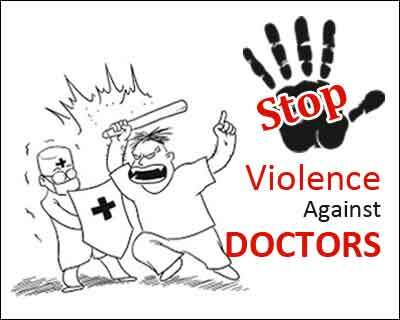 DISTRICT HEALTH OFFICER , THE MORE QUALIFIED DOCTORS WHO POSSESS MASTER DEGREES HAVE TO BE HIS SUBARDINATES. HOW SILLY AND STUPID IT LOOKS. THE ENTIRE SITUATION LOOKS QUITE DISTERBING AND DISGUSTING . UNCONCENRED INDIVIDUALS ARE GIVEN ALMOST IMPORTANT posts by VOILTING RULES REGULATIONS / BYE LAWS ( buy law ) Vader and recruitment rules , and what not? . Having caste, money and influence is the main criteria . Unfortunately DESPITE knowing every thing hardly any body opposes it. The biggest problem comes from the IDIOTIC BABUS THE BUEROCRATES, they are worst people in entire government system , nest come their castiest, cunning crooked politicans.